You are browsing the archive for copyright. We’ve recently returned from the OER19 conference in Galway, Ireland, where we had the opportunity of running the third edition of the Open Education Policy Co-creation (OEPC) workshop, and the outcomes were very interesting! But let’s start from the beginning. This workshop was originally developed in the context of the OpenMed project, to support the project stakeholders to develop Open Education Policies following the Recommendations from OpenMed to University leaders and policy makers for opening up Higher Education in the South-Mediterranean by 2030. The workshop aimed to give the project stakeholders some basic policy co-design skills, and as well as an overview of the key techniques and elements needed to opening up the arenas to foster sustainable policies. In order to support these objectives the workshop is grounded on the participation and co-creation standard developed by OGP to foster the co-creation of national commitments, and uses a set of cards and a canvas (adapted from those developed by the UK Policy Lab) aligning the elements with those recommended by the Ljubljana Action Plan, and the JRC report, Policy Approaches to Open Education. The workshop elements aim at raising awareness of the international Landscape towards widening participation including a wide range of stakeholders, while, being resourceful, optimistic and flexible, to ensure that the policy design addresses the co-creation process in a specific context, involving a wide range of policy design partners to ensure the correct implementation, overseeing the opportunities and challenges of an OE policy, and the key elements these must comprise providing the evidence needed to support the stakeholders and to prevent risks of policy derailment. We piloted the OEPC workshop at the OpenMed conference (Rome) with a group of stakeholders from Egypt, England, Italy, Jordan, Morocco, Palestine and Spain. Then, with Fabio Nascimbeni we re-tested the methodology at the OE Policy Forum (Warsaw), with stakeholders from Germany, Malta, Poland, Romania, Spain, Slovenia, Sweden and The Netherlands. In both pilots, the participants agreed that core processes and partners for OE policy-making were co-design and collaboration, which should include not only senior management but academics, librarians and experts in copyright, as these could provide a wide range of perspectives related to their local contexts and needs. Also, the participants mentioned as stakeholders the need to work alongside with Open Science, Open Access and OE experts and policymakers to foster cohesion in Open Policies. Regarding solutions and approaches, the participants mentioned the need to include experts in accreditation systems and copyright regulations, as these policy opportunities are key to foster sustainability in OE policy making, but also, are possible challenges and barriers for promoting the adoption of Open Educational Practices, alongside the lack of copyright and IP understanding, and scarce awareness of open practices amongst faculty, senior management, and policymakers, which prevent the acknowledgment of Open Practices for career progression, and, also diminish the chances for obtaining funding to implement OE policies. So, in order to enable an OE policy, the participants mentioned as key elements the recognition of Open Practices and accreditation of Open Learning were key, as these elements, can provide evidence to promote the adoption of Open Education alongside with international good practices, data on cost-benefits of OER, national educational data and performance data to showcase the impact of Open Education. According to the participants of the first two pilots, the main beneficiaries of an OE policy are learners and educators, however, families, general public, universities and governments can also benefit from Open Education by lowering costs of access to education while widening participation, although, the groups mentioned that it is key to be aware of the risks that an OE policy may face, are lack of political understanding of openness, as well as datafication and commodification of education and also, lobbying from commercial publishers and ed-tech vendors might severely impact upon or derail an OE policy initiative. With all this information in hand, and after carefully updating the kit according to the feedback given by the pilot participants, we ran a new edition of our workshop, billed as Fostering Openness in Education: considerations for sustainable policy making at OER19, in which over 20 participants from Ireland, England, Scotland, Austria, The Netherlands, Australia and Spain participated. For them, in order to foster co-creation of OE policies, processes such as the involvement of communities of practices and use spaces in global conferences are key, and also, the use of consultations and roundtables to discuss the policy at different stages. When discussing the policy context, the participants mentioned the importance of acknowledging the voices of diverse groups to ensure inclusivity, considering the level of access to technological infrastructure. When talking about Policy Design Partners the participants agree that educators, policy makers, librarians, learning technologists and education experts need to be involved, while others mentioned the need to include learners. While discussing opportunities and challenges, the participants mentioned collaboration, innovation, chances to flourish and improvement of quality and access to education as key opportunities while, they highlighted as challenges, the commodification of education and conflicts of interest and agendas between negotiations between institutions and technology suppliers. In relation to the key elements of an OE policy, the participants highlighted transparent practices, and bench-learning from existing policies in order to include accreditation and recognition of Open Learning, and also, to have elements that enable measurement of the impact of the policy, as impact data can be further reused by other institutions willing to develop their policies as evidence, including for example student success rates, uptake rates, learner engagement and amount of resources created and used. This evidence can provide data for recognition of educators’ good practices, towards benefiting two groups of key stakeholders learners and the society as a whole through the provision of Open Content. Finally, in relation to risks, the participants mentioned the lobby of commercial textbook publishers and from educational corporations taking advantage of Open Content to profit commercially. Following the Galway workshop, we have reviewed and compared the outcomes of the three workshops and found some fascinating stuff. Regarding processes in the Rome pilot, most of the discussion focused on the co-creation process, as for the participants, policy-making was most likely related to the governance processes and to senior management activities, as for the groups in Warsaw, it was key to connect OE with other educational reforms, and to align it with their Open Government Partnership strategies, while in Galway, the keyword was collaboration, as they saw the opportunity for fostering collective ownership when a policy is co-created. Regarding the policy context, for the groups in Rome, the need was related with the need of promoting innovation to enhance the quality of education in a context of overcrowded classrooms, while in Warsaw, lots of the discussion focused on the need of having content in national languages, and in Galway the key idea was inclusion and diversity, to provide learners with the content they need. When discussing Policy Design Partners the participants in Rome highlighted the importance of involving international OE experts and the group in Warsaw mentioned learning technologists and copyright experts while in Galway, librarians and academics were mentioned. In relation with to policy opportunities, the groups in Rome mentioned access to quality educational materials and opportunities for distance learning, while in Warsaw, OE policies were seen as a mean to defeat the EU copyright reform and in Galway, the concepts of co-creation and collaboration to foster bottom-up policies was seen as a great advantage. In regards with the challenges, in Rome, the biggest one mentioned was overcrowding of classrooms and little flexibility for open learning accreditation, while in Warsaw the EU copyright reform and the ruthless publishers’ lobby was seen as a major threat. For the groups in Rome, Warsaw and Galway, the key elements were accreditation of open learning, and recognition of open education practices for career progression. For the participants in Rome, the key evidence was good practices on the use and production of OER at an international level, while in Warsaw, it was important to provide data on cost-benefits of OER, and in Galway, success rates, uptake rates and learning engagement data as key to foster an OE policy. Finally, the key stakeholders for the group in Rome were learners, educators and universities while for the Warsaw group governments were also key, and for the participants in Galway, the group extended to the society as a whole. 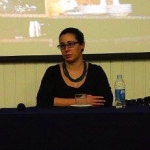 In regards with the risks, the group in Rome mentioned lack of political understanding of openness, while the participants in Warsaw, were concerned about the current wave of datafication, commodification and marketisation of education and furthermore, worried at the tactics used by publishers and ed-tech vendors/gurus, as this set of practices were of potential danger not only to OE but to education in general, and this concern was widely replicated in the Galway session. Is interesting to see that in some cases the groups see elements from different perspectives, and while for the groups in Warsaw and in Galway shared some concerns regarding datafication and copyright, the participants in Rome were more concerned by the lack of IT literacies. It is also interesting each group, without being connected, builds on top of each other, and that for all the international OE community it is key to foster sustainable OE policies that can provide evidence of good practices to promote the adoption of OE. Our next stop is Lisbon, we will be holding another OE policy co-creation workshop at the CC summit, so join us Friday, May 10th from 3:30pm – 4:25pm. 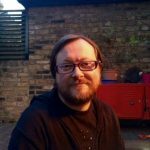 Leo Havemann: Is a Digital Education Advisor at University College London, and a postgraduate researcher in open education at the Open University. He is a co-ordinator of the M25 Learning Technology Group. His research interests include open educational practices, skills and literacies, blended learning, and technology-enhanced assessment and feedback. 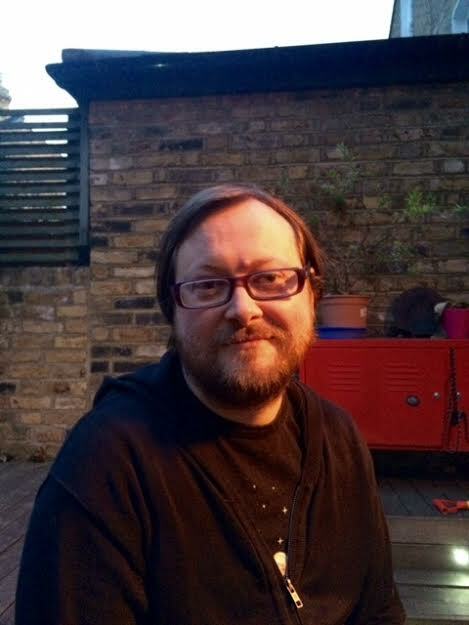 He has taught in HE in New Zealand and Australia, worked as a librarian in a London FE college, and worked in IT roles in the private sector. He has a Master’s degree from the University of Waikato. He can be followed as @leohavemann on Twitter. 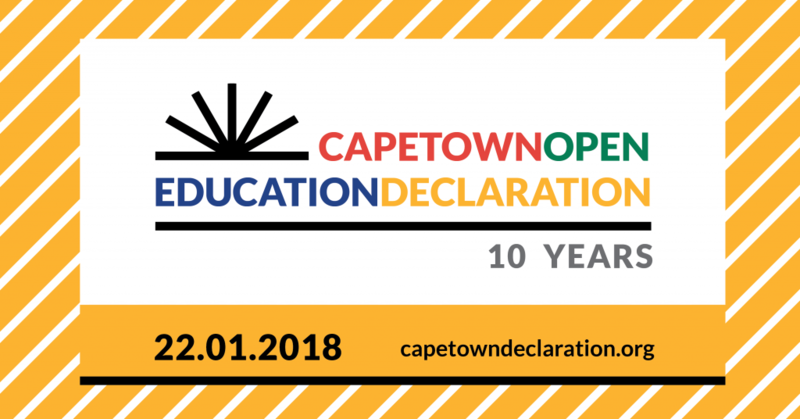 This week, Monday January 22nd, the Open Education community celebrated an important anniversary: 10 years since the publication of the Cape Town Open Education Declaration, a global call to action that has helped inspire thousands of open education advocates across the world. 2. Open educational resources: Second, we call on educators, authors, publishers and institutions to release their resources openly. These open educational resources should be freely shared through open licences which facilitate use, revision, translation, improvement and sharing by anyone. Resources should be published in formats that facilitate both use and editing, and that accommodate a diversity of technical platforms. Whenever possible, they should also be available in formats that are accessible to people with disabilities and people who do not yet have access to the Internet. So, where are we now, after exactly 10 years from this? The 10 year anniversary was initially marked last year during the World OER Congress , in which a group of open educators, reflecting on progress made by the community over the last ten years and future challenges, collaboratively produced a new set of recommendations to inspire and focus the movement for the next ten years: the Ten Directions to Move Open Education Forward. These directions complement and expand the three Open Education Declaration strategies by giving particular attention to elements such as communication, empowerment, educational development, open pedagogy, and copyright reform, among others. 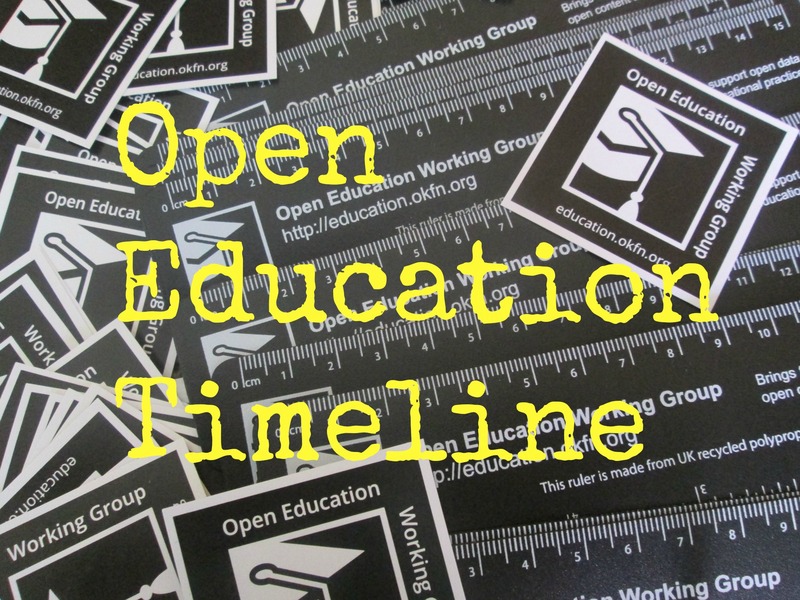 The Open Education Working Group has been involved in the last element through Communia, a network of activists, researchers and open practitioners who advocate for improvements to the EU copyright framework. We believe that the copyright law is of fundamental importance to move Open Education forward. Indeed, “the availability of openly licensed educational resources continues to grow, a wide variety of cultural and informational resources that are critical for education remain locked up by restrictive copyright terms. 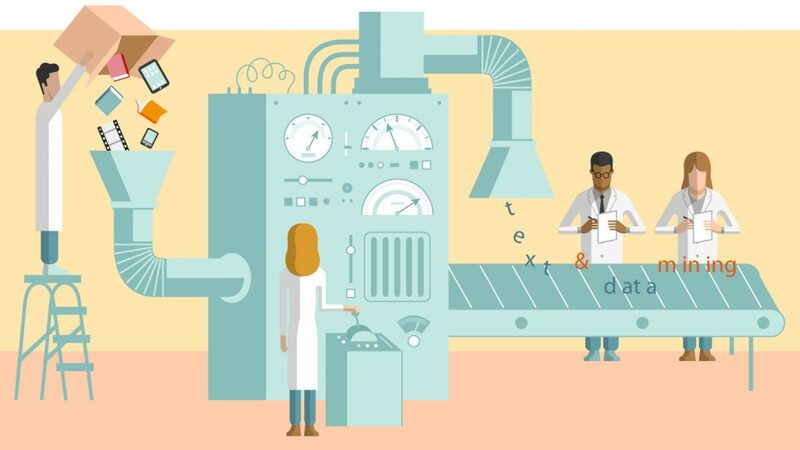 Limitations and exceptions to copyright can give teachers and learners the necessary freedoms to use these resources for educational purposes, without having to ask for permission. Copyright reforms taking place around the world can strengthen these exceptions—or hurt education by weakening them”. Last week Communia sent a joint letter to all MEPs working on copyright reform, explaining the changes needed to facilitate the use of copyrighted works in support of education. As we are well aware of, education practices are embedded, and influenced by, social, historical and political dynamics. It is important that we educators become critically aware of these dynamics and become active in making sure that they do not disrupt our pedagogies. Critical awareness of social, historical and political dynamics affecting educators’ practices is an important topic especially nowadays as globally, we are witnessing major migratory flows, which means that providing social and educational services have become pressing concerns in all regions of the world as we need to make sure everyone is able to access adequate education. The Ten Directions to Move Open Education Forward contain 3 particularly important strategies related to this issue: open pedagogy, educational development and empowerment. OERs have the affordances to be used as an instrument for education to social cohesion within a critical pedagogy discourse (Manca et al., 2017), with particular attention to the aforementioned strategies. Critical pedagogies refer to all those educational experiences promoting transformation, empowerment, and exposing the power dynamics affecting educational development and which can perpetuate social injustice. It is then of vital importance that open educators refer to these strategies (and the others) for both personal development and to design education in a way that helps learners develop the critical skills needed to uncover, observe and recognise how socio-cultural, power and emotion-related dynamics influence society. With these new, 10 directions, Open education is not only moving forward, but it is becoming the vessel of a democratic pedagogy aimed at educating future generations to what sociologist Edgar Morin defined as “complex lessons in education for the future” (2002). 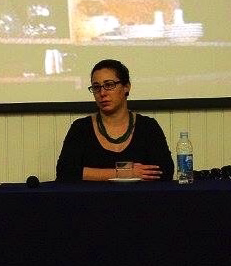 These lessons include the ability to appreciate the common human condition, the way knowledge is (co)constructed and what are the possible errors in this process, the importance of understanding each others and, most importantly, the aptitude to confront and accept the uncertainties and complexities of the socio-cultural reality we inhabit (Manca et al., 2017). 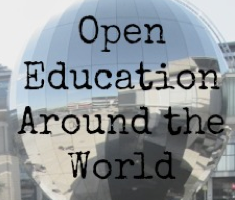 The Open Education Working Group is delighted to join the wider community of open educators on this vessel and moving towards these exciting, transformative challenges. Today we, the OEWG, publish a joint letter initiated by Communia Association for the Public Domain that urgently requests to improve the education exception in the proposal for a Directive on Copyright in the Digital Single Market (DSM Directive). The letter is supported by 35 organisations representing schools, libraries and non-formal education, and also individual educators and information specialists. In September 2016 the European Commission published its proposal of a DSM Directive that included an education exception that aimed to improve the legal landscape. 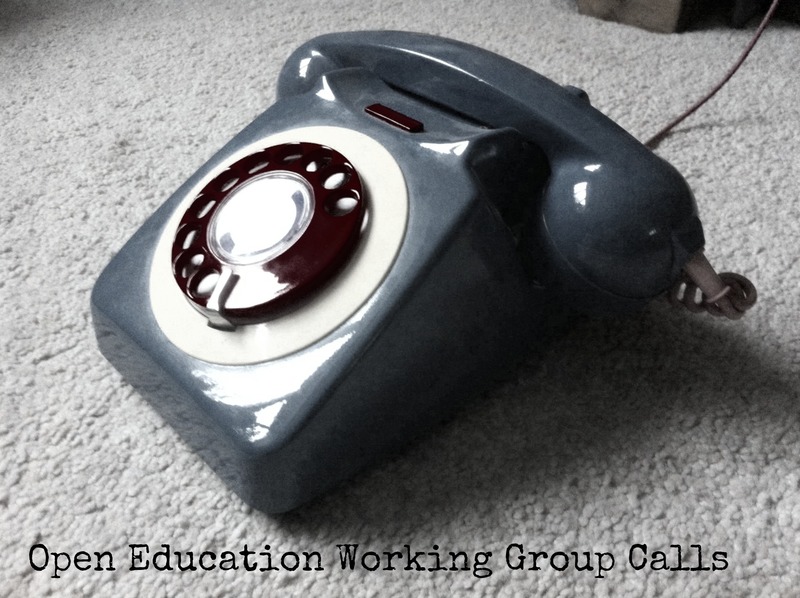 The technological ages created new possibilities for educational practices. We need copyright law that enables teachers to provide the best education they are capable of and that fits the needs of teachers in the 21st century. 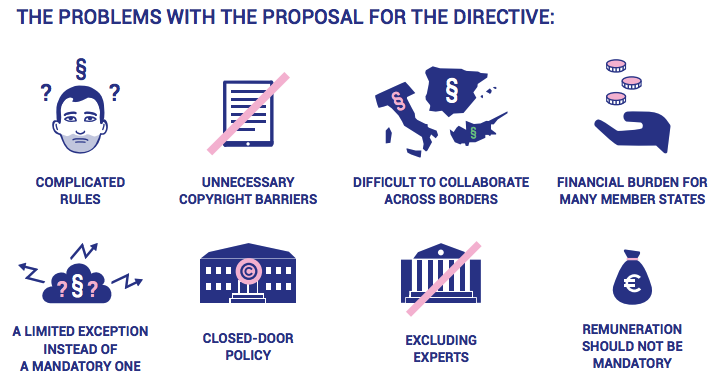 The Directive is able to improve copyright. The European Commission proposed a mandatory exception, which can be overridden by licenses. As a consequence educational exception will still be different in each Member State. Moreover, educators will need a help from a lawyer to understand what they are allowed to do. Currently most Member States have exceptions for educational purposes that are completely or largely unremunerated. Mandatory payments will change the situation of those educators (or their institutions), which will have to start paying for materials they are now using for free. The European Commission’s proposal does not include all important providers of education as only formal educational establishments are covered by the exception. We note that the European lifelong-learning model underlines the value of informal and non-formal education conducted in the workplace. All these are are excluded from the education exception. The European Commission’s proposal limits digital uses to secure institutional networks and to the premises of an educational establishment. As a consequence educators will not develop and conduct educational activities in other facilities such as libraries and museums, and they will not be able to use modern means of communication, such as emails and the cloud. To endorse the letter, send an email to education@communia-associations.org. 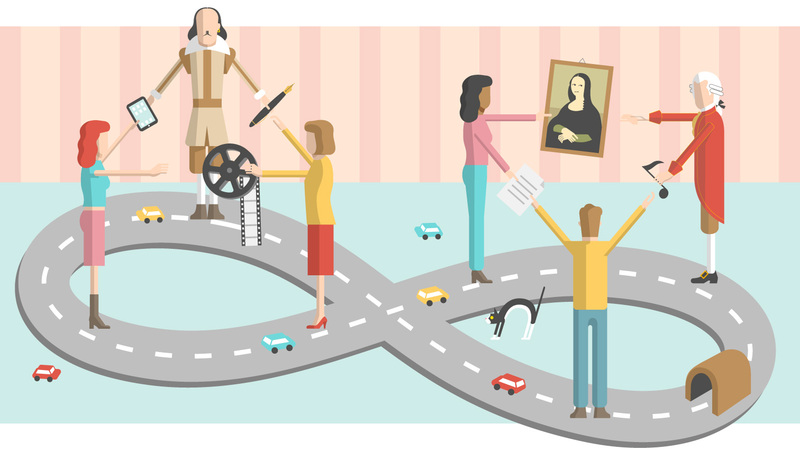 Do you want to receive updates on the developments around copyright and education, sign up for Communia’s newsletter Copyright Untangled. You can read the full letter below or download the PDF. We, educators, teachers, students, vocational trainers, researchers, scientists, librarians, archivists and museum professionals, provide education on a daily basis. We teach, we learn, we create and exchange information for the benefit of European society. We want a copyright framework that enables us to provide modern, innovative education. Education fit for the Europe of the 21st century. Copyright needs to be reshaped in order to facilitate modern education which spans the lives of learners, and takes place in a variety of formal and informal settings, online as well as offline. We strongly support the European Commission’s decision to update the framework of educational exceptions and introduce a new, mandatory exception. Unfortunately, the current proposal for a Directive on Copyright in the Digital Single Market (DSM proposal) does not meet the needs of educators and educational institutions. On the contrary, it will function as a straitjacket that introduces a fragmented legal landscape and legal uncertainty. It might also mean significant, additional costs for some member states. Instead of supporting a broad lifelong-learning sector that includes in particular adult education and workforce training – the reform will apply only a narrow range of formal establishments. Instead of supporting innovative use of digital communication to extend the mission of educational institutions, it will serve as a barrier to online education. And instead of facilitating use of a broad range of resources available to educators and learners today, it will support an outdated model that limits education to one-size-fits-all, mass-produced textbooks. Educators should not need to be lawyers to understand what they can and cannot do. We believe in transparency. Educators would benefit from an education exception on which educators can rely across the European Union. Unfortunately, the European Commission’s proposal will maintain the fragmented legal copyright framework when it comes to education as long as licenses can overrule the exception. The consequence of the proposal is that legal uncertainty will be maintained. Some members of the European Parliament propose mandatory remuneration for educational uses. Currently, 17 member states have exceptions for educational purposes that are completely or largely unremunerated. In these countries educators can use copyrighted works for educational purposes for free. Payments should therefore remain optional and any changes to this model should be subject to consultation with Ministries of Education of all member states. Learners benefit from receiving education from the best in the field. This is why education provided by educators, librarians, museum professionals and non-formal education providers who relate to the topic of study are incredibly valuable. For instance, 24 million adults take part in non-formal training activities in libraries every year within the European Union. Unfortunately, the European Commission’s proposal does not include all important providers of education as only formal educational establishments are covered by the exception. We note that the European lifelong-learning model underlines the value of informal and non-formal education conducted in the workplace. All these are excluded from the education exception. In today’s Europe, educational activities are legitimately provided in many locations and through various means of communication. The consequence of the European Commission’s proposal to limit digital uses to secure institutional networks and to the premises of an educational establishment is that educators will not develop and conduct educational activities in other facilities such as libraries and museums, and they will not be able to use modern means of communication, such as emails and the cloud. All to the detriment of learners. We strongly urge you to avoid the above-mentioned pitfalls by granting a mandatory exception for non-commercial educational purposes that cannot be sidelined by licenses and that cannot be overridden by contract. We need an exception that includes all relevant providers of education and an exception that permits the diversity of educational uses – both digital and analogue – of copyrighted content. We would like to stress that this is not just a concern to us, educational stakeholders, but to all citizens and society at large. Access to good education is a prerequisite for a thriving knowledge-based economy, and part of European culture. Providing access turns learners into co-creators of education, information and culture. The education exception is an investment needed to enable the advancement of science and innovation. It is an important condition not only to enable the advancement of science and innovation, but for the development of Europe and its societies. We count on your good sense in policy and decision-making as you work to reform the copyright system in the European Union. We therefore urge all to help support access to inclusive, fair education for all in the European Union.